Other Names: Washington Location: District of Columbia Campaign: Early’s Raid and Operations against the B&O Railroad (1864) Date(s): July 11-12, 1864 Principal Commanders: Maj. 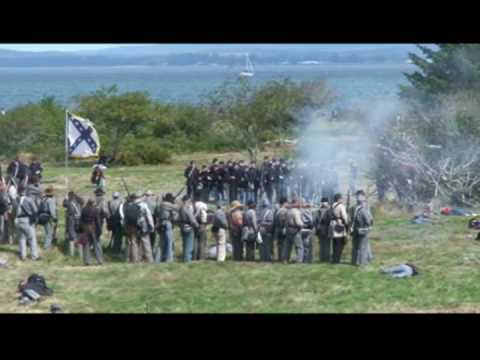 The Battle of Fort Stevens was an American Civil War battle fought July 11–12, 1864, in Northwest Washington, D.C., as part of the Valley Campaigns of 1864 between forces under Confederate Lt. Gen. Jubal A. 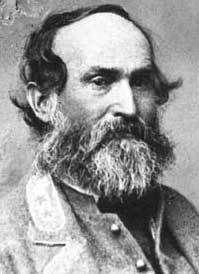 Early and Union Maj. Gen. Alexander McD. McCook. Although Early caused consternation in the Union government, reinforcements under Maj. Gen. Horatio G. Wright and the strong defenses of Fort Stevens minimized the military threat and Early withdrew after two days of skirmishing without attempting any serious assaults. The battle is noted for the personal presence of President Abraham Lincoln observing the fighting. In June 1864, Gen. Jubal Early was dispatched by Gen. Robert E. Lee with the Second Corps of the Army of Northern Virginia from the Confederate lines around Richmond with orders to clear the Shenandoah Valley of Federals and then if practical, invade Maryland, disrupt the Baltimore and Ohio Railroad and if possible threaten Washington, D.C. The hope was that a movement into Maryland would force Union Lt. Gen. Ulysses S. Grant to send troops to defend Washington against the threat, thus reducing his strength to take the Confederate capital. After easily driving off the Army of West Virginia under Maj. Gen. David Hunter at the short-lived Battle of Lynchburg on June 18, the Second Corps marched down the valley, entering Maryland on July 5 near Sharpsburg. They then turned east towards Frederick where they arrived on July 7. Two days later, as the Second Corps prepared to march on Washington, Maj. Gen. Lew Wallace leading a small rag-tag army, bolstered by the eleventh-hour addition of two brigades of the VI Corps sent from Richmond under Maj. Gen. James B. Ricketts, attempted to resist the Confederate advance at the Battle of Monocacy. 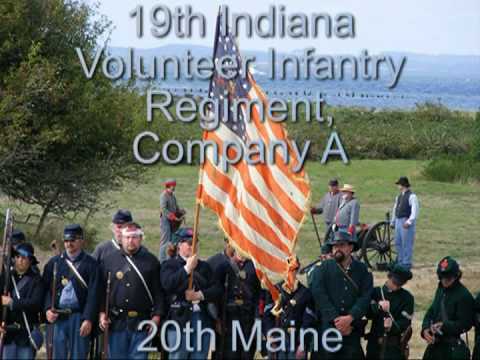 The battle lasted from about 8 a.m. until around 4 p.m., but ultimately Early's corps drove off the small Union force, which was the only substantial Union army between it and the capital. After the battle Early resumed his march on Washington, arriving at its northeast border near Silver Spring at around noontime on July 11. Because of the battle and then long march through stifling summer heat, and unsure of the strength of the Federal position in front of him, Early decided to not send his army against the fortifications around Washington until the next day. Early's invasion of Maryland had the desired effect on Grant, who dispatched the rest of the VI Corp and XIX Corps under Maj. Gen. Horatio G. Wright to Washington on July 9. The steamer carrying the Union force arrived in southeast Washington around noon on the July 11, at about the same time that Early himself had reached the outskirts of Fort Stevens with the lead elements of his troops. The arrival of the VI Corps brought desperately needed veteran reinforcements. It also added another high ranking officer into a jumbled Federal command. The Washington defenses played host to a number of generals ejected from major theaters of the war or incapacitated for field command due to wounds or disease. 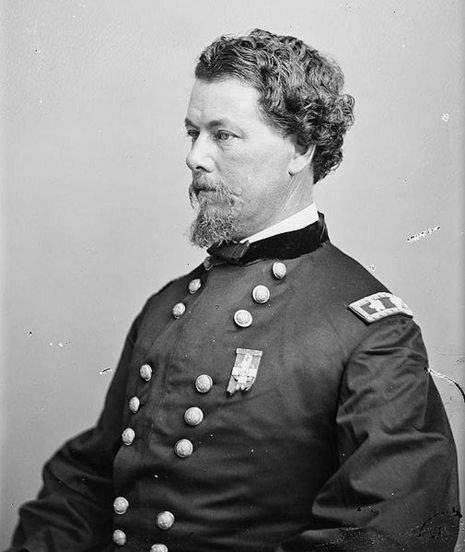 Maj. Gen. Alexander M. McCook was one of the former, having not held a command since being relieved of command after the Battle of Chickamauga. McCook was however placed in command of the Defenses of the Potomac River & Washington, superseding Christopher Columbus Augur who commanded the Department of Washington. Augur also commanded the XXII Corps whose troops manned the capital's defensive works. Maj. Gen. Henry W. Halleck called upon Maj. Gen. Quincy A. Gillmore in New York City to take command of a detachment from the XIX Corps. The U.S. Army's Quartermaster General, Brig. Gen. Montgomery C. Meigs, took command of an "Emergency Division" directly under the command of McCook Even President Abraham Lincoln personally arrived at the battlefield. McCook tried to sort out the problem of too many generals in the face of Early's advance. He was unable to rid himself of the generals, and their attempts to gain leverage over one another, but a somewhat a workable command structure was established. 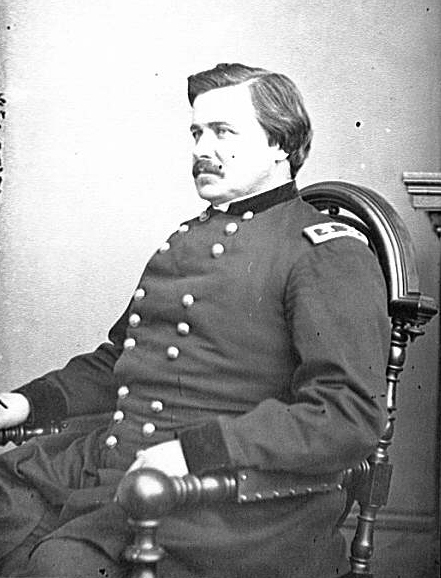 With McCook in overall command, Gillmore commanded the northeast line of fortresses (Fort Lincoln to Fort Totten), Meigs commanded the northern line of forts (Fort Totten to Fort DeRussy—including Fort Stevens) and Augur's First Division commander, Martin D. Hardin, commanded the northwest line of forts (Fort DeRussy to Fort Sumner). Wright and the VI Corps were to be held in reserve but McCook immediately decided against this, stating that he felt veteran troops needed to take the front lines against Early's troops. As it was, Hardin's troops engaged in some light skirmishing but as McCook intended, it was to be Wright's veterans who bore the brunt of the fighting. At about the time Wright's command was arriving in Washington, Early's corps began to arrive at the breastworks of Fort Stevens, yet Early delayed the attack because he was still unsure of the federal strength defending the fort, much of his army was still in transit to the front, and the troops he had were exhausted due to the excessive heat and the fact that they had been on the march since June 13. Additionally, many of the Confederate troops had looted the home of Montgomery Blair, the son of the founder of Silver Spring, Maryland. They found barrels of whiskey in the basement of the mansion, called Blair Mansion, and many troops were too drunk to get a good start in the morning. This allowed for further fortification by Union troops. Around 3 p.m., with the bulk of their force present, the Confederates commenced skirmishing, probing the defense maintained by Brig. 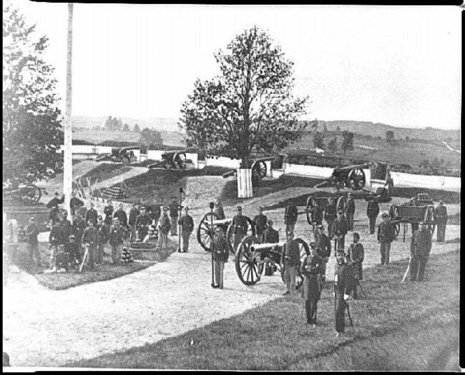 Gen. Martin D. Hardin's division of the XXII Corps with a line of skirmishers backed by artillery. 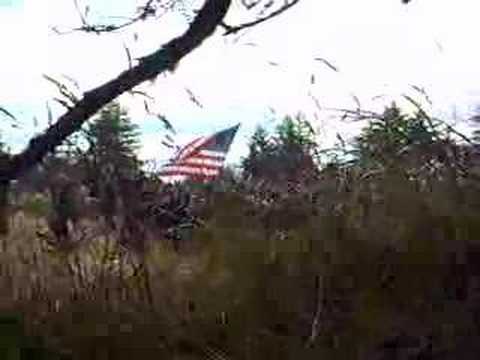 Near the start of the Confederate attack the lead elements of the VI and XIX Corps arrived at the fort, reinforcing it with battle-hardened troops. The battle picked up around 5 p.m. when Confederate cavalry pushed through the advance Union picket line. 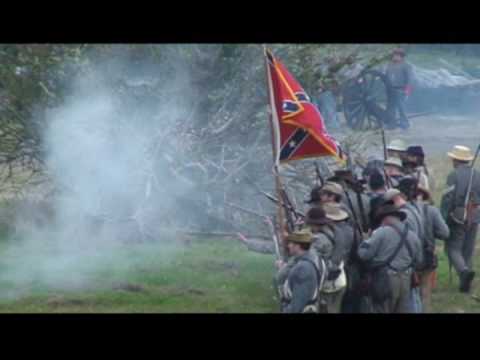 A Union counterattack drove back the Confederate cavalry and the two opposing lines confronted each other throughout the evening with periods of intense skirmishing. The Union front was aided by artillery from the fort, which shelled Confederate positions, destroying many houses that Confederate sharpshooters used for protection. President Lincoln, his wife Mary, and some officers rode out to observe the attack, and were briefly under enemy fire that wounded a Union surgeon standing next to him on the Fort Stevens parapet. Lincoln was brusquely ordered to take cover by an officer, probably Horatio Wright, although apocryphal stories claim that it was Oliver Wendell Holmes, Jr. The skirmishing continued into July 12, until Early finally decided Washington could not be taken without heavy losses too severe to warrant the attempt. His corps withdrew that evening, headed back into Montgomery County, Maryland, and crossed the Potomac River on July 13 at White's Ferry into Leesburg, Virginia. Early remarked to one of his officers after the battle, "Major, we didn't take Washington but we scared Abe Lincoln like hell." It would be nearly another day before the Union pursuit under Wright would set out after them. Fort Stevens is now maintained by the National Park Service under the administration of Rock Creek Park. The fort is located near 13th Street NW between Rittenhouse and Quackenbos Streets NW. The battlefield cemetery is located nearby, at 6625 Georgia Avenue NW.